The 2015 US GP was a modern classic. Epic racing, changeable weather and a new world champion crowned. Many congratulations to Lewis Hamilton who now joins the greats with 3 championships to his name. 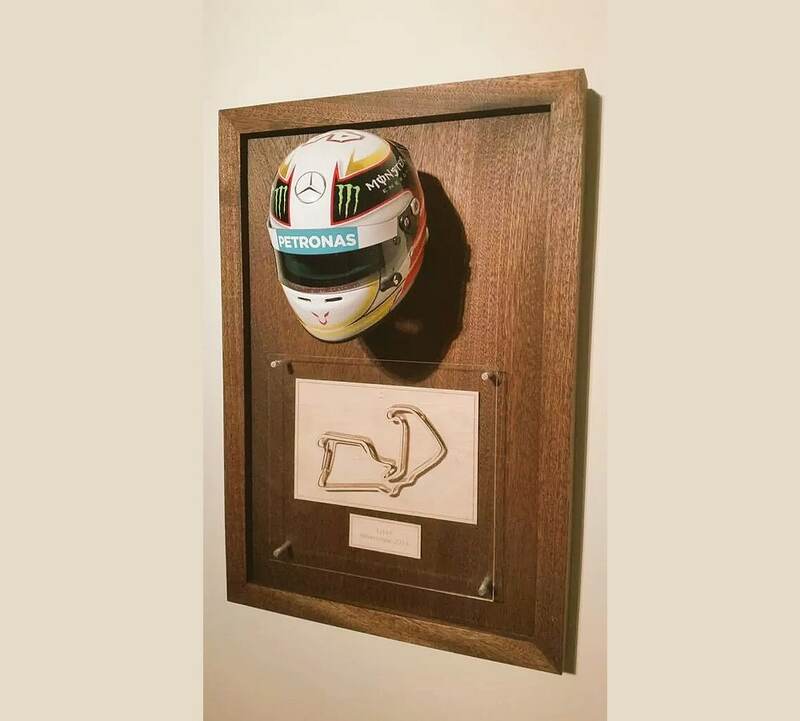 A half scale helmet from his 2014 season this beautiful piece is a must for any Lewis Hamilton fan. Mounted on a dark stained flat frame the piece includes any circuit of your choice from his World Championship winning season. Note that this is the 2014 helmet. We are waiting for the release of his 2015 season helmet.